On a recent Saturday, May 17th, those who hunger for books could find a one day feast in the Gold Rush territory of Northern California. 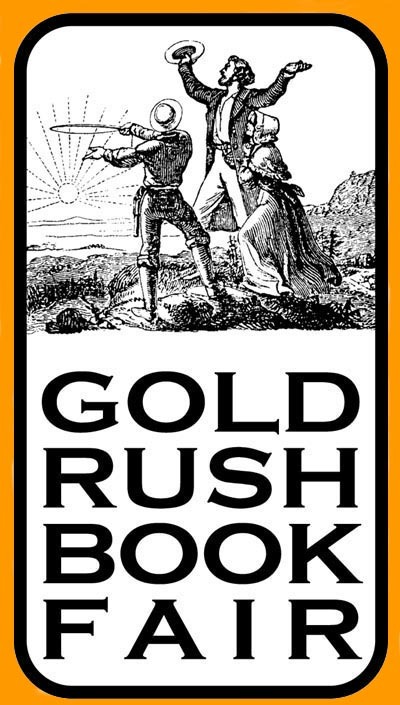 It was the third annual "Gold Rush Book Fair" staged this year at the Nevada County Fairgrounds in Grass Valley. An estimated 400 to 600 vacation readers, bibliophiles and tire kickers made this well organized affair a satisfying experience for everyone. Fifty-five exhibitors from as far away as Spokane, Washington brought a wide selection of material to entice lookers into becoming buyers. Americana, both old and new, was themost common denominator among the materials offered. Emmett Harrington, the San Francisco book dealer, was this year’s honored guest. Mr. Harrington, a former lawyer and a relatively new recruit to the world of book selling, in a speech to his fellow exhibitors on Friday evening, recounted his entry into the world of books and then book selling. I informally surveyed participating dealers and found that less than 25% of them have recently issued, are now issuing, or plan in the next year to issue a printed catalogue. Most, but not all, offer their books online. Most of these dealers offer their books at least on ABE and sometimes elsewhere. Shows clearly remain very important for many reasons. Like peas in a pod book sellers and book collectors feel “right” when they periodically meet at book fairs such as this to sell books, find books, exchange views and meet new customers. Many participating dealers do not have open shops and hence need such shows to provide a component of the book experience that can not, for them, be experienced any other way. This suggests to me that, no matter how the internet changes the world of books, it will not eliminate the need for the personal contact that books fairs such as this make possible. For many, books fairs and book collecting are about more than books. This is the first fair on the West coast that the Americana Exchange participated in as an exhibitor and our experience was telling. Our audience is now regularly more than 4,000 people. Many come to the site almost every day to use the database and check the progress of the book auctions. But at this book fair we counted only a handful of our members present.